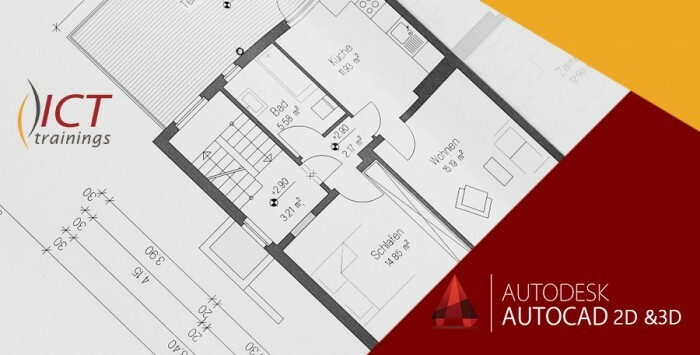 Learn features and function of AutoCAD to create and modify 2D and 3D geometry. Concepts and demonstrations cover beginner, intermediate and advanced topics including display controls, annotation objects, using layers, setting up drawings for print, manipulating reusable content and customizing AutoCAD interface. Students are also eligible of attempting Autodesk Certified User exam after the completion of trainings. So you can enjoy Autodesk Certification which is all over the world. A real-time example will be given throughout the lectures, starting from design basics to expert level. Sir Ahsan is a very good in trainings. He explains the concepts very clearly and was always willing to clarify the concept.